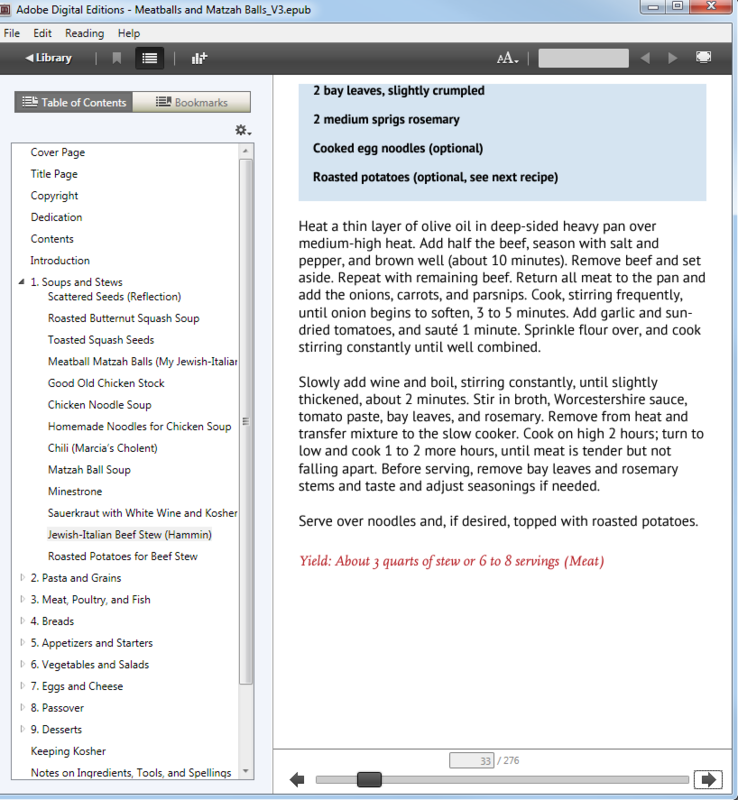 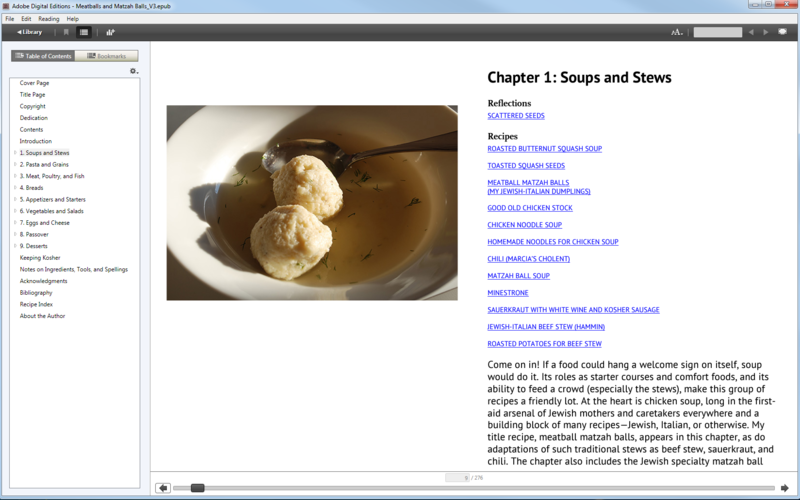 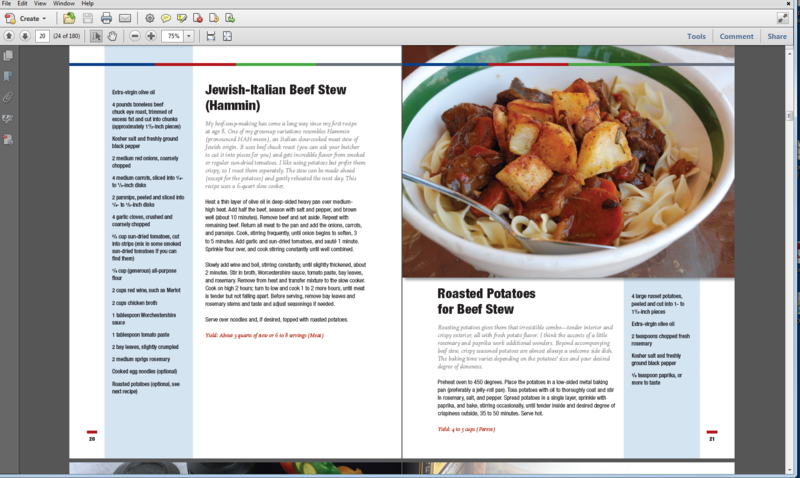 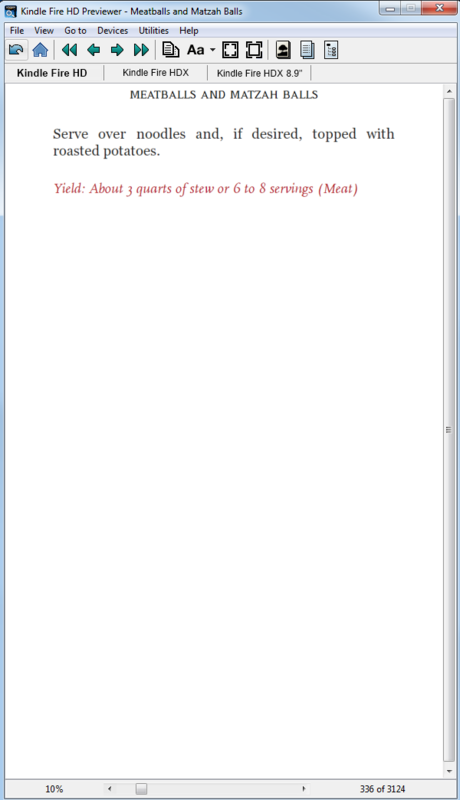 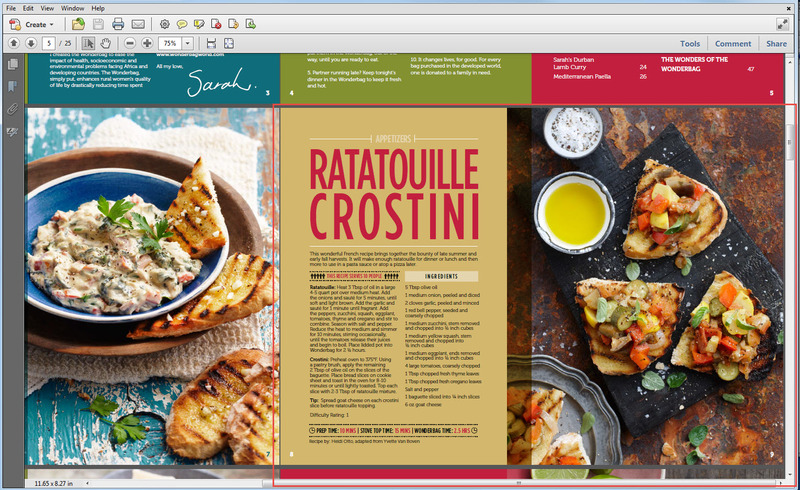 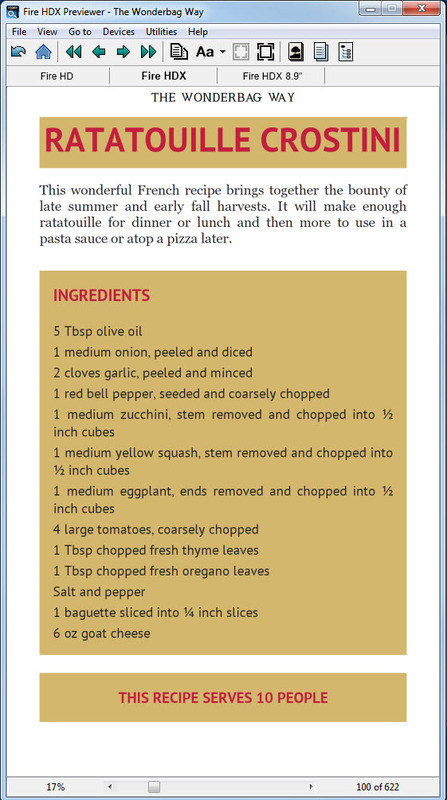 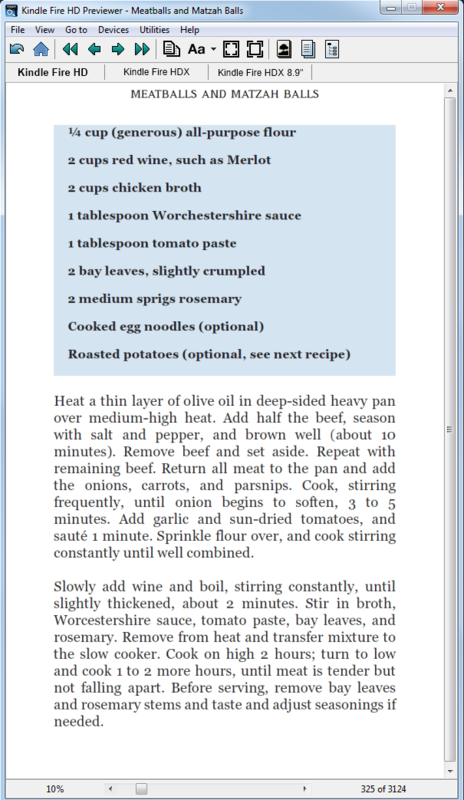 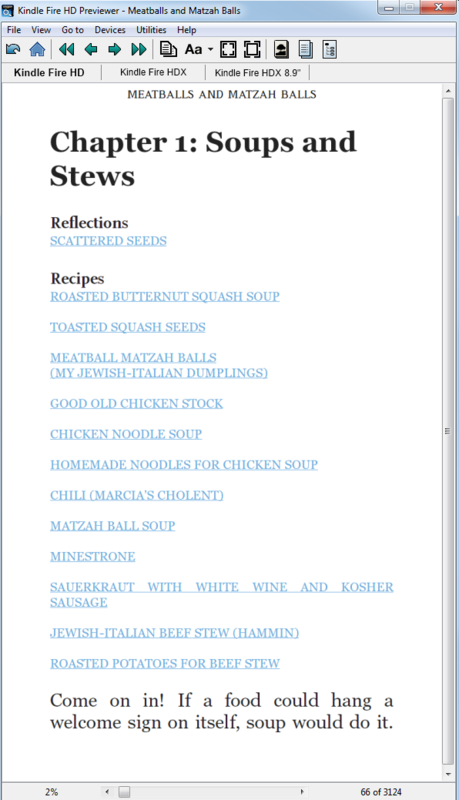 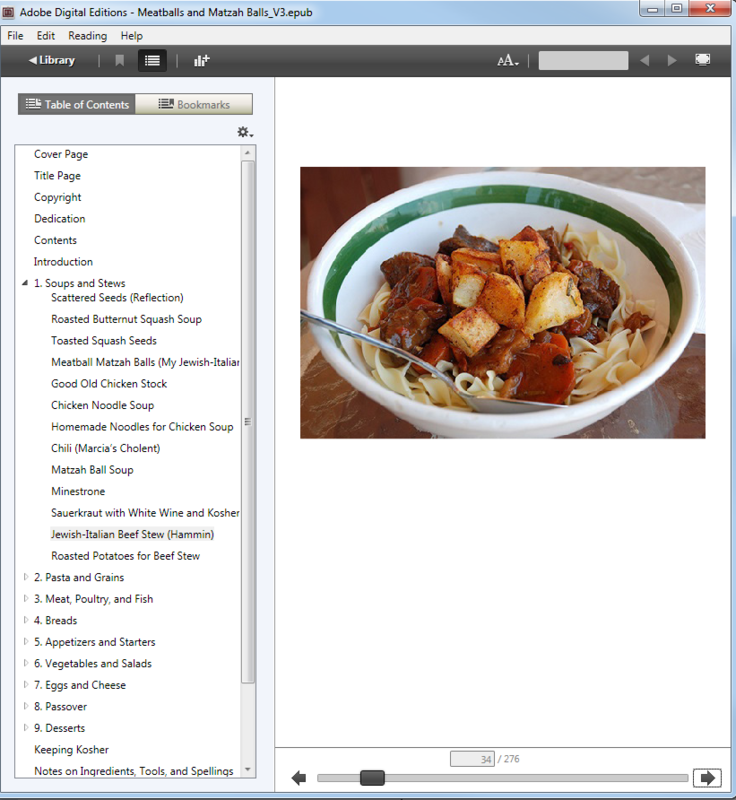 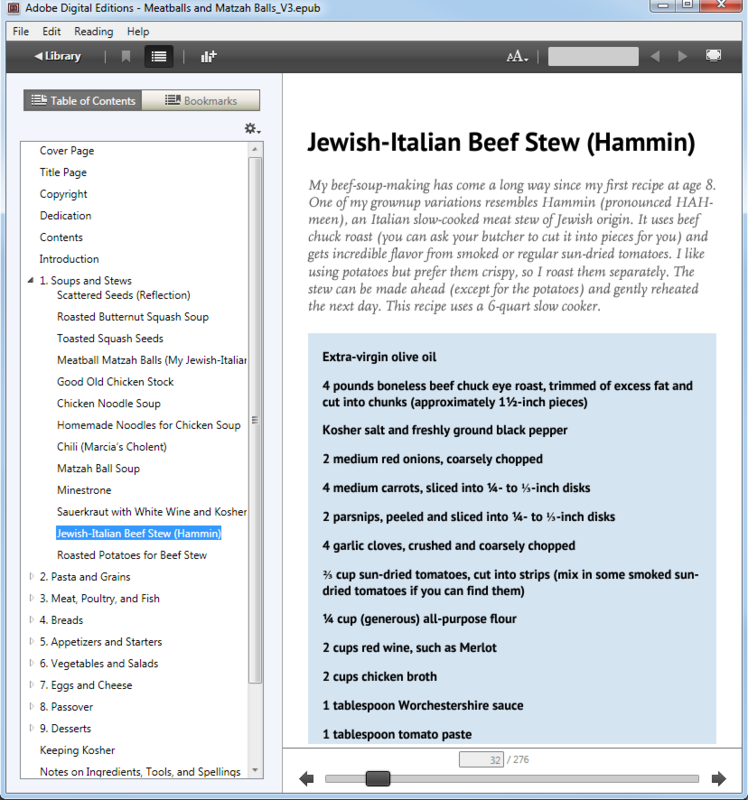 If you're seeking formatting for your cookbook, you already know that the layout can be challenging. 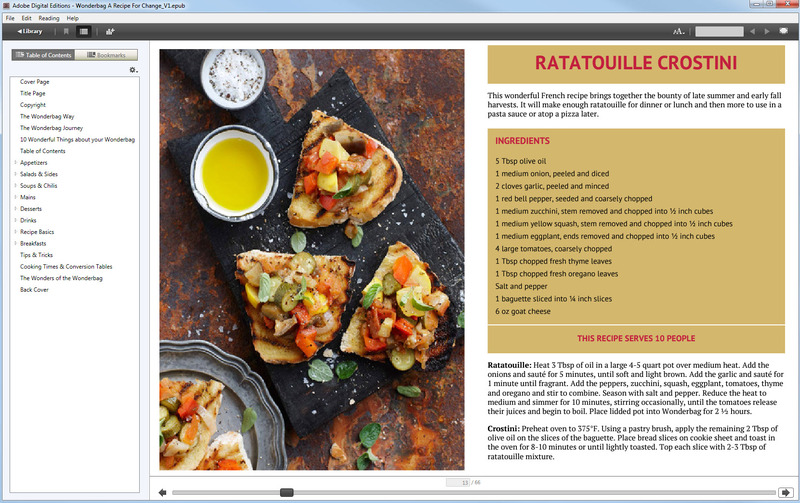 Click through out samples below to see how more-complex two-page spreads can be reformatted into usable eBooks in MOBI (Amazon Kindle) and ePUB (B&N's NookPress, KoboBooks, iBooks, GoogleBooks) format for online retailers. 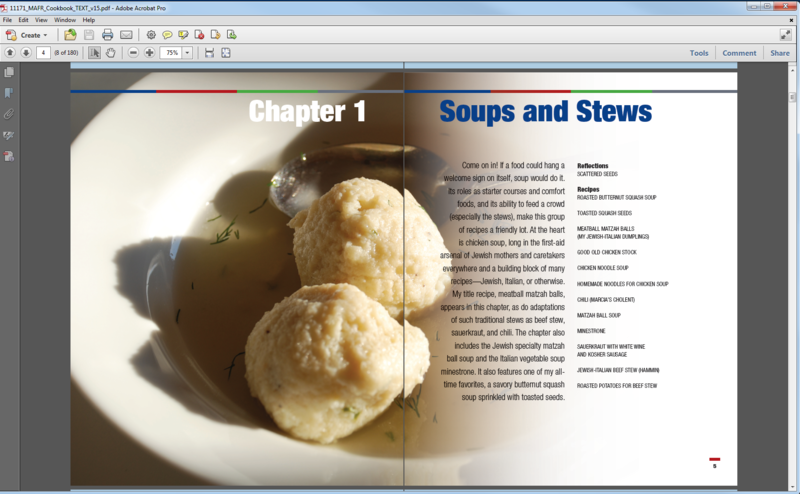 Don't buy into the idea that a recipe book has to be "fixed-format," before you speak to us. 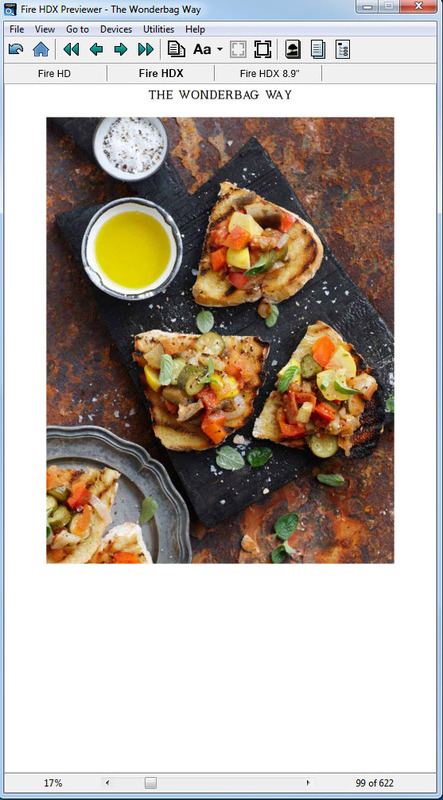 Click any book below to see the Gallery in a lightbox, zoomed for your convenience. 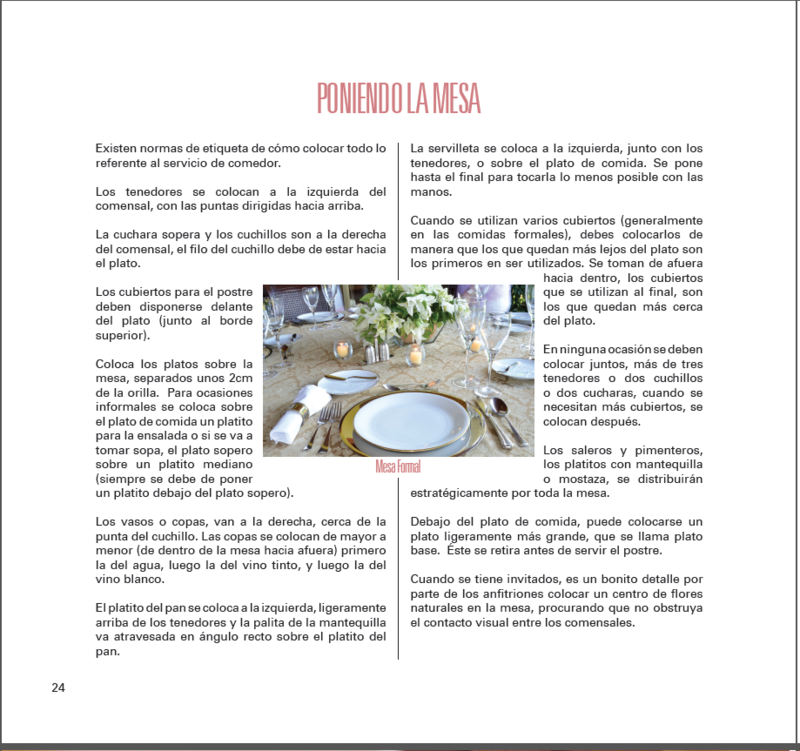 The source for Cocinada de Dia--a spread! 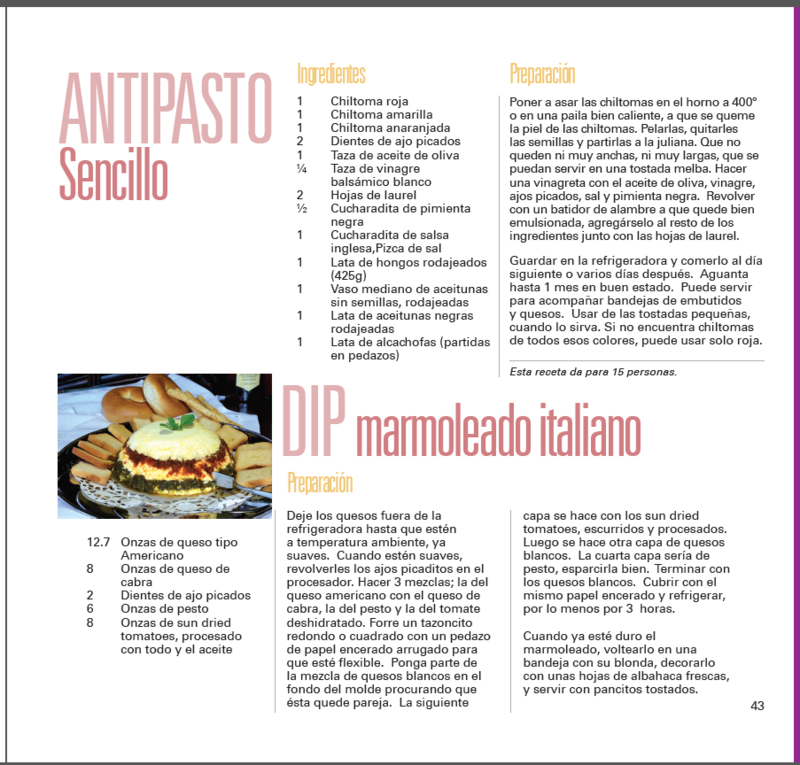 Another Cocinada de Dia spread. 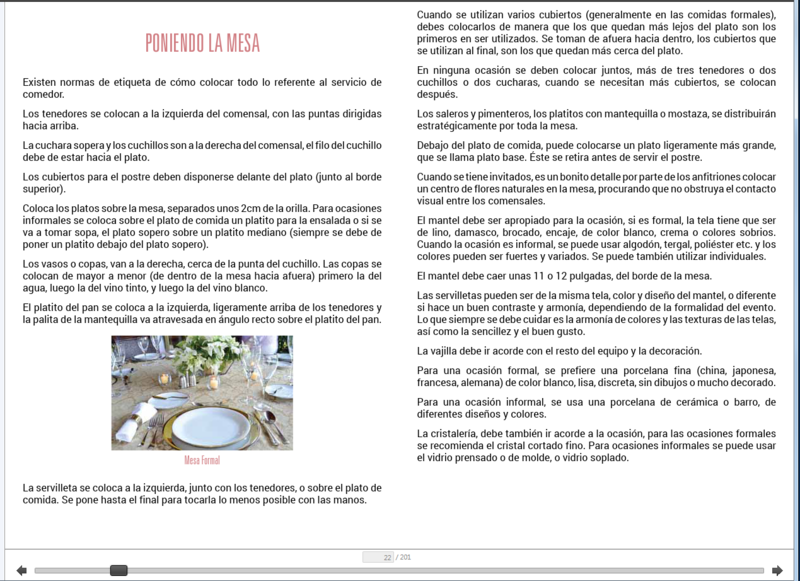 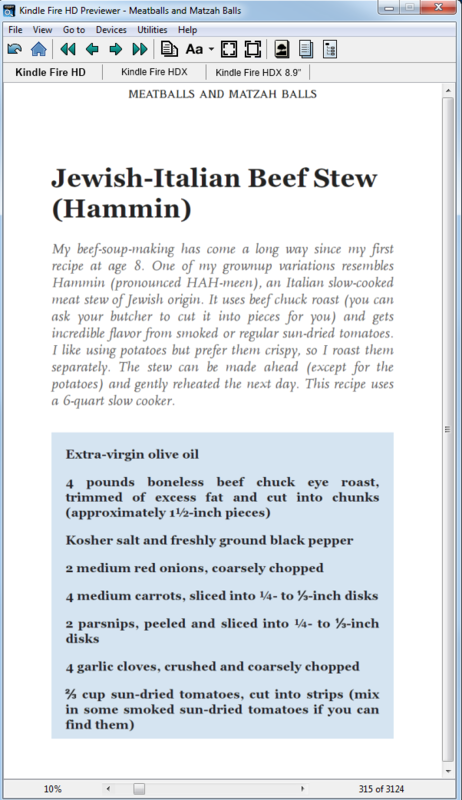 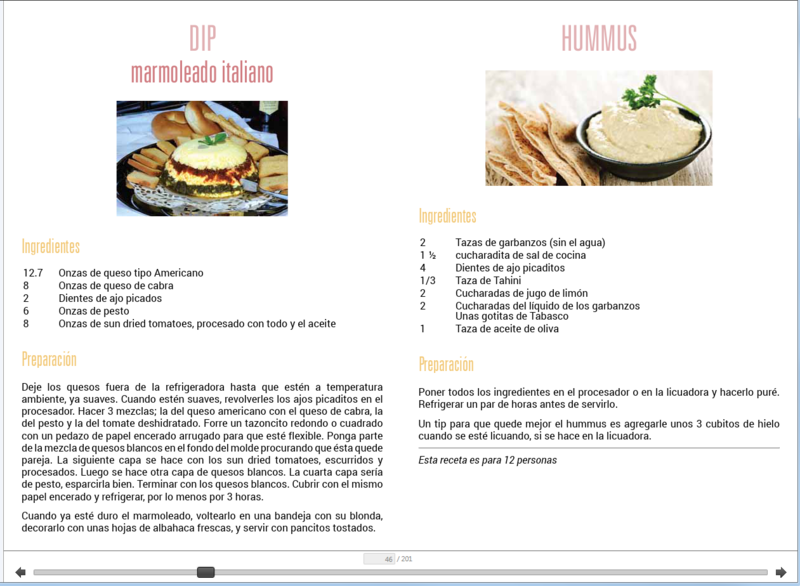 The Cocinada de Dia spread, in ePUB format. 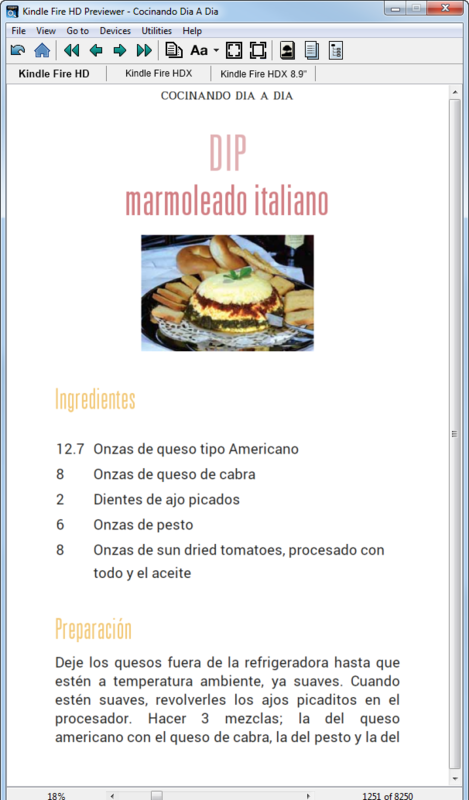 Cocinada de Dia, in MOBI format. 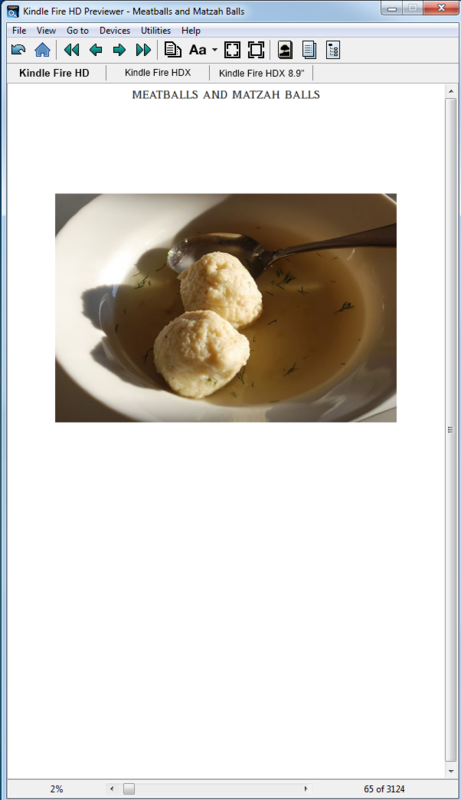 Another Meatballs and Matzah Balls source spread.